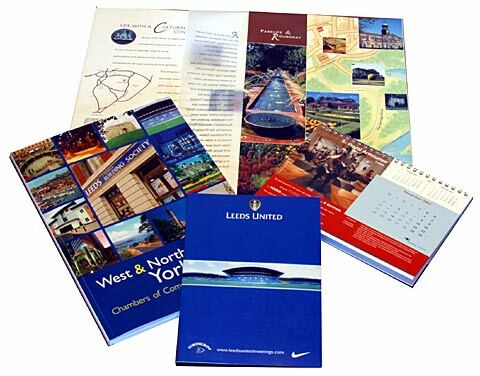 IMAGES OF LEEDS - Pricing Policy & Example costs - DIGITAL IMAGES FOR COMMERCIAL REPRODUCTION. Licenses to use Red Door VR images may vary in price depending on the intended use. SUPER SAVINGS ON OVER 200 IMAGES AS FEATURED IN OUR LATEST HARDBACK BOOK - DIGITAL IMAGES JUST £49.95 + VAT (QTY DISCOUNTS TO £34.95!!) CLICK HERE TO VIEW OUR IMAGES OF LEEDS £49.95 LATEST COLLECTION. Note that orders placed off site, by phone / fax / email etc. do not qualify for web discount prices*. Please note, all prices exclude VAT (sales tax) which will be chargeable at the appropriate rate by our online ordering system. Clients with a valid EU VAT registration number for EEC member counties outside the UK may be invoiced NETT, but this is not possible via our online system - if you wish to order in this way, please use our contact form. .
'Educational, personal and fair use policy'. Our image collections are intended for paid licensed commercial reproduction. Where personal/educational use is required of the examples shown on our website(s), this may be granted at our discretion, in all circumstances any such image use must be accompanied by our copyright assertion: © Red Door VR Limited. All such use is only permitted of 'watermarked' examples as shown on our website. If you wish to enquire about such use, please use our contact form. Full size, full resolution copies without a visible watermark of our digtal images are only available for paid licensed use. We aim to offer a simple 'one-off' cost effective fee payment for licensed use. This fee covers the majority of intended uses of our image(s). Please note that we pursue ALL unlicensed uses of our copyright images. THE MINIMUM CHARGE FOR UNAUTHORISED USE OF ANY OF OUR COPYRIGHT PHOTOGRAPHY IS £1000.00 (ONE THOUSAND POUNDS STERLING) plus costs, legal fees and VAT. Our legal team take pride in their successes to date. Confused about copyright? - the nice people at the UK Copyright Service can help. *OFF-LINE ORDERS: Our online image library is programmed to accept your order, take your payment securely, issue your receipt and deliver your digital image by e-mail link once payment is approved. For clients who wish to order digital images by phone / fax / mail / official purchase order etc. or require delivery by other means, CD, FTP, memory stick etc. we make an order processing charge of £75.00 (+ VAT where applicable) per order to cover manual processing costs. In any event images are not released until payment is received in full. The simple way to place your order is via our on-line system for delivery by email link. Thank you for your understanding. We accept all major credit cards. No credit card surcharge is added to your invoice. All images herein are © Red Door VR Limited.